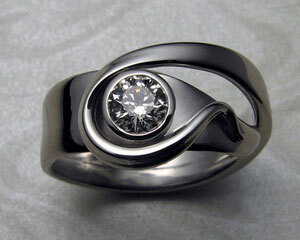 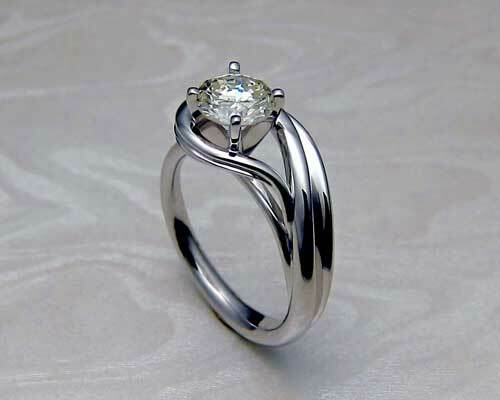 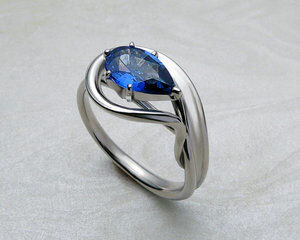 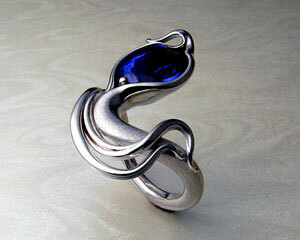 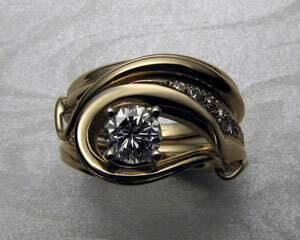 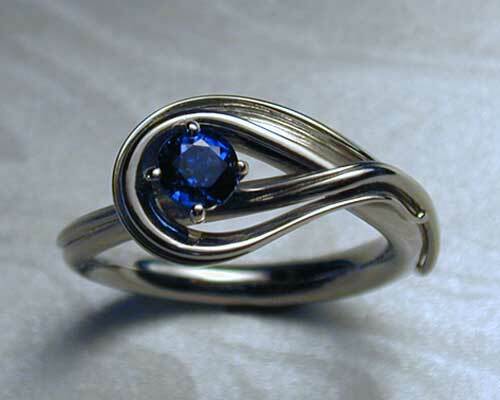 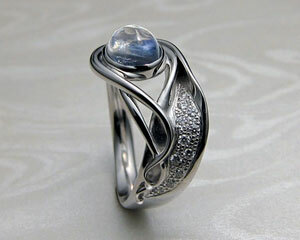 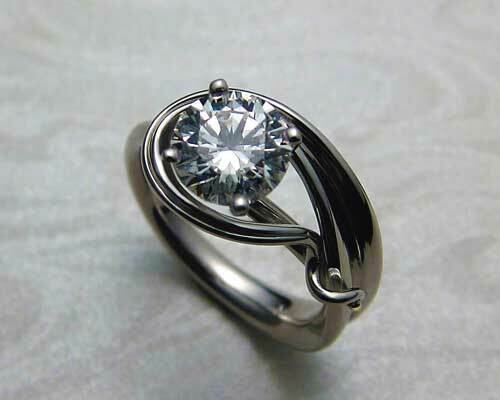 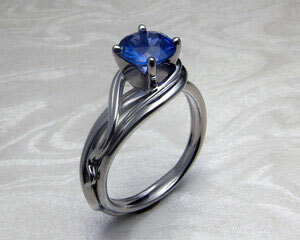 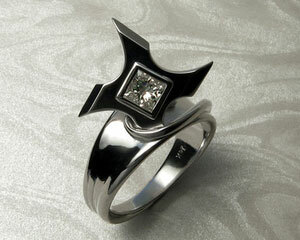 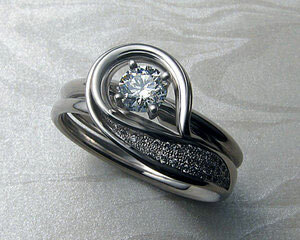 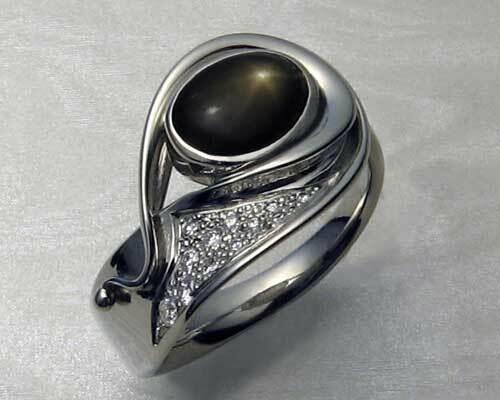 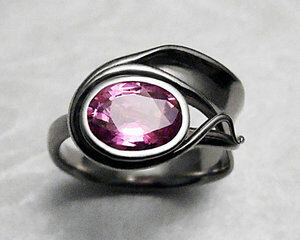 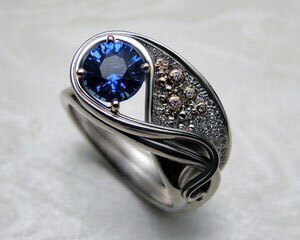 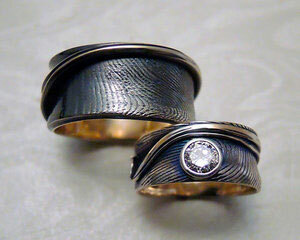 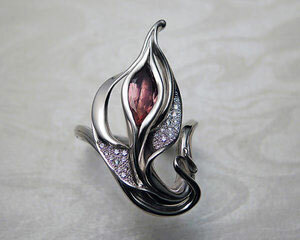 This unique custom made engagement ring set, was inspired by fluid, organic, natural shapes. 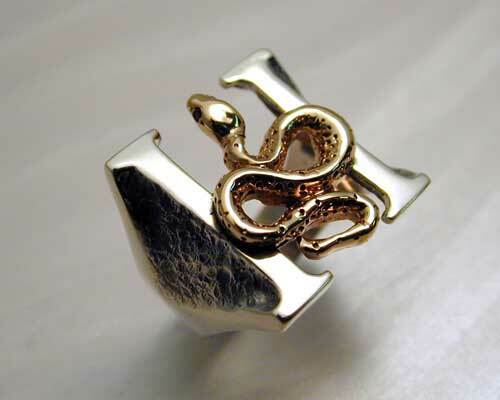 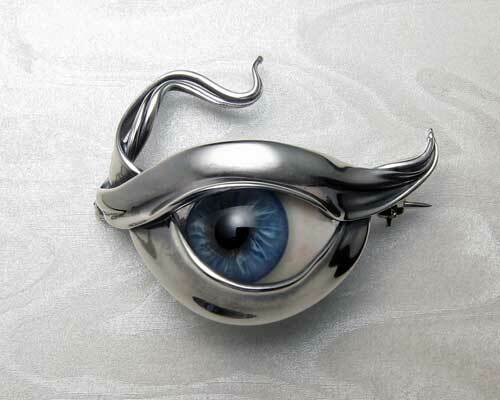 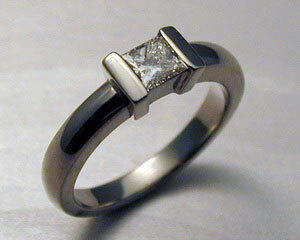 14k white gold with diamonds set. 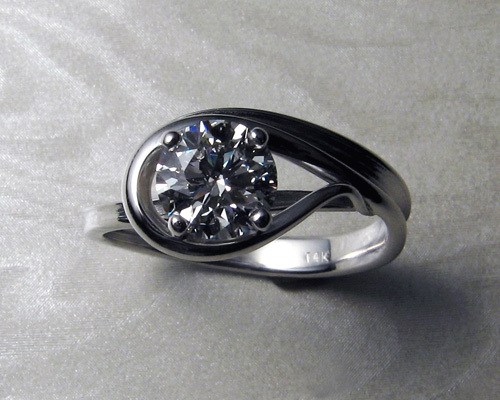 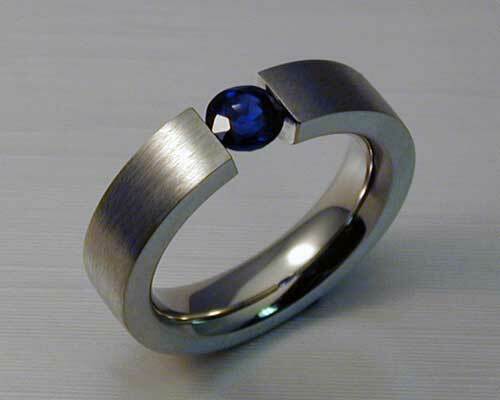 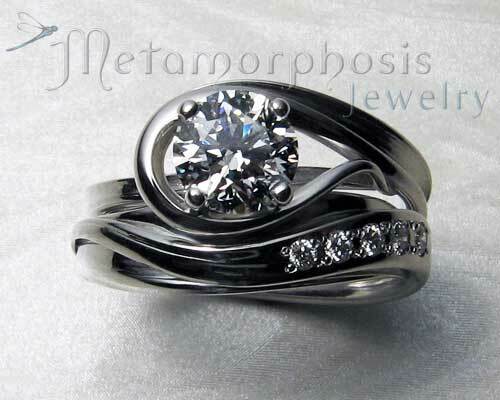 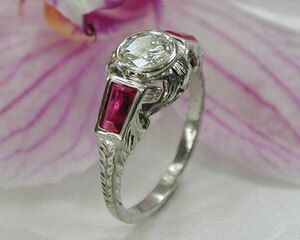 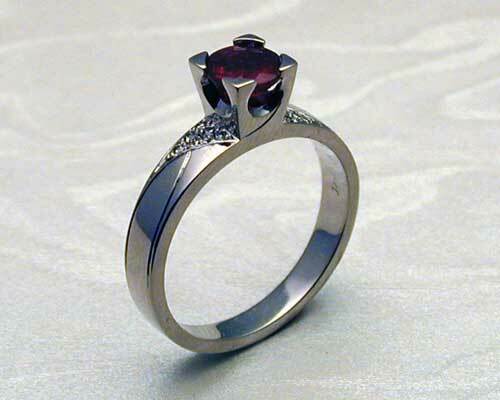 Engagement set with bezel setting. 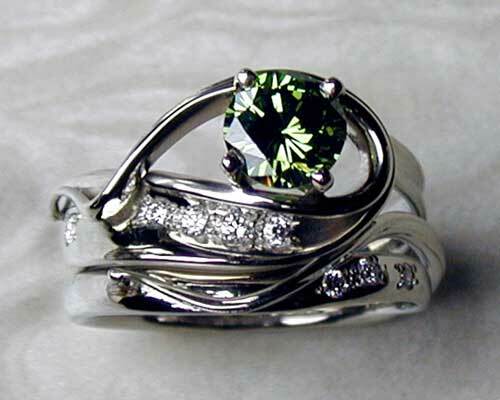 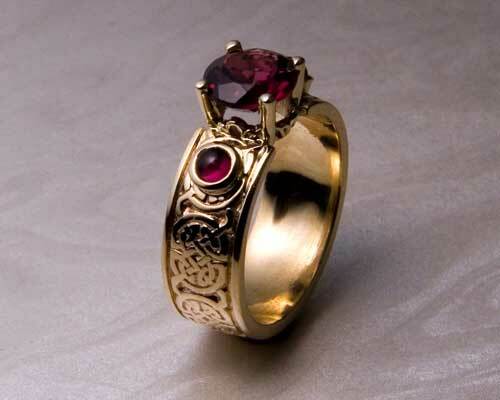 Engagement ring - Unique engagement ring set. 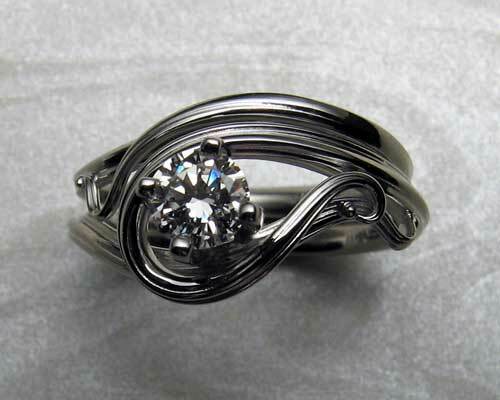 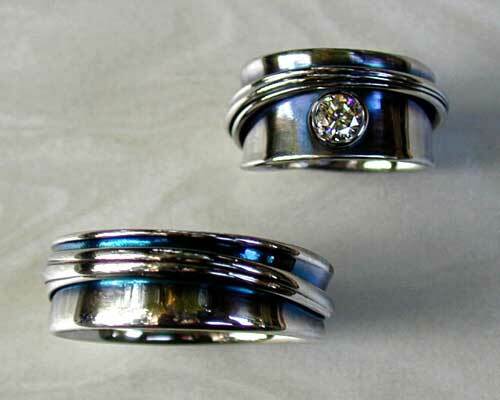 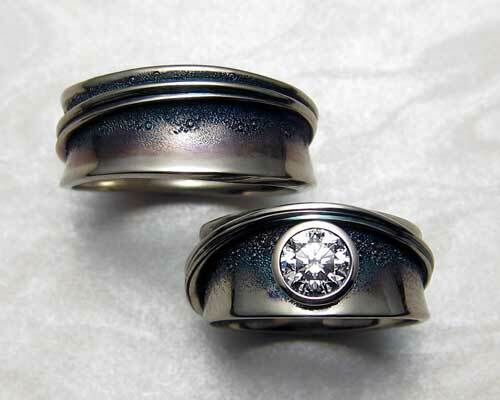 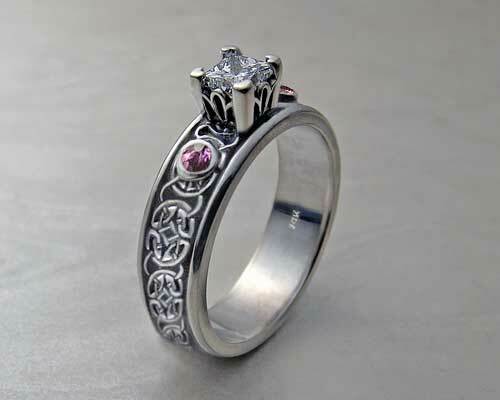 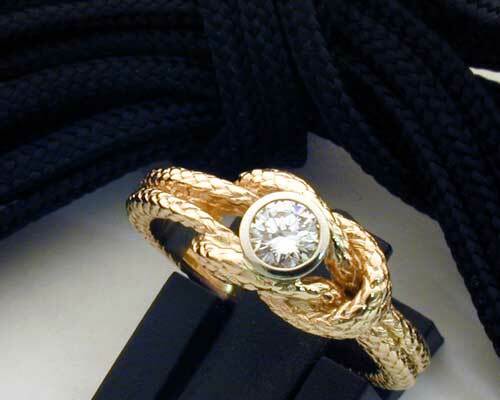 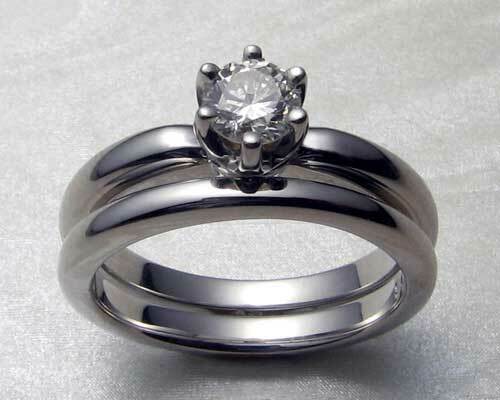 Wedding Band - Unique engagement ring set. 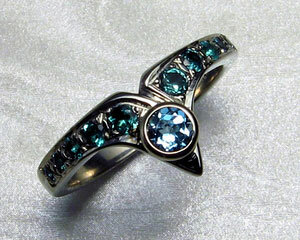 These prices do not include the 5 bead set stones, please call or email for stone details and options. 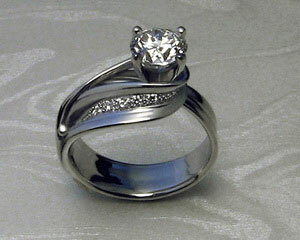 Our North American toll-free number is 1-877-844-8743.